When we talk about power and performance, then we can’t leave behind the V8 engines. One of the powerful induction is relieved by the V8 machines. But a number of chants include mists of power flaws and miscommunications. Let’s get to some power. 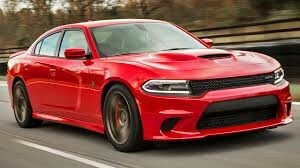 The Dodge Charger SRT Hellcat that has 6.2 L V8 engine. The car has 707 horses to run at 650 lb – ft of torque. Now imagine, how powerful this muscle machine would be. The car has been featured in some last parts of the 2016 Jason Bourne as well. Charger can reach 62 mph within 3.4 seconds and has a top speed of almost 204 mph. Yet another German is here in our list. 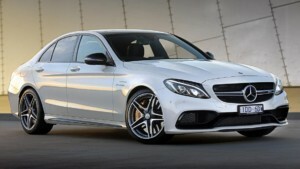 The all – luxury, Mercedes C63 AMG with a 4.0 L V8 bi-turbo engine, is another power machine. This luxury Bella has much to do with cosmetics and comfort. But the powertrain is equally strong. It has 469 horses to run at 516 lb – ft of torque. It reached 62 mph within just 3.8 seconds in the test run with a top speed of 180 mph. Hellcats are getting common in the list of V8 cars. 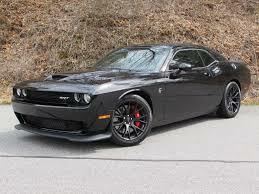 We have another Dodge here modeled as Challenger SRT Hellcat having 6.2 L V8 engine with 707 horses at 650 lb – ft of torque. It’s immiscible encounter of power and performance. This muscle car can reach 62 mph within 3.6 seconds and has an incredible top speed of 199 mph. It’s definitely sheer power. 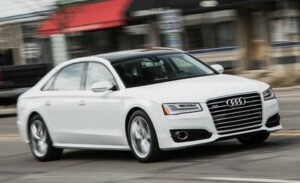 Let’s come to the Audi’s A8. After the spectacular R8 series, the Germans have grown strong enough to bring in the V8 engine in A – series of Audi. It comes with 4.0 L engine with 450 horses to run and 444 lb – ft of torque. The Quattro Audi can reach 62 mph within just 3.9 seconds with a top speed of 131 mph. Germans are pretty strong in developing powerful cars. 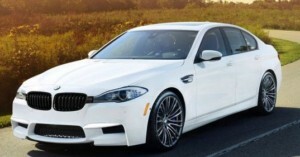 The next German companion we have is the BMW M5. It has the 4.4 L V8 engine, which could ensure better mileage along with performance. The M5 has 560 to 575 horses to run. Along with the horses, it has 560 lb – ft of torque. This German companion can reach 62 mph within 4 flat seconds and has a top speed of 160 mph. Chevrolet is one of the leading sports car brand of the world. There is a range of spectacular cars produced and marketed by the company. 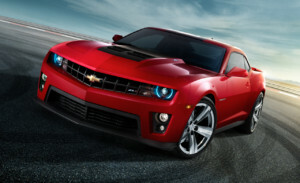 We have here the wonderful Chevrolet Camaro ZL1 with 6.2 L V8 engine, having 640 horses and same amount of torque. Camaro can reach 62 mph within 4.1 seconds and has a top speed of 184 miles per hour. 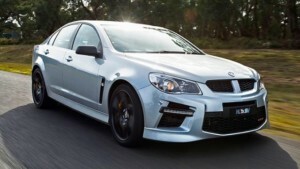 The 2016 Vauxhall VXR 8 GTS comes with a 6.0 L V8 engine. Among our list this is another car with less fan following. Hence, it has less consumer apprentice. The VXR 8 GTS has 576 bhp of power and maintains a torque of 545 lb – ft. VXR 8 GTS reaches 62 mph within 4.2 seconds with a top speed of 155 mph. The Ford Mustang GT is someway a legendary car to drive. 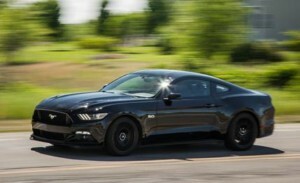 Mustang GT has 5.0 L V8 engine with 435 hp and 400 lb – ft of torque. Mustang GT is one of the cheapest V8 cars as well. The muscle machine can pull up to 62 mph within 4.3 seconds. Its top speed as estimated is 186 mph. The American muscle cars are famous throughout the world. The muscle league consists yet another candidate with a V8 engine. 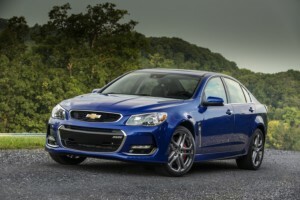 It is the Chevrolet SS with 6.2 L V8 engine, having 415 hp at 415 lb – ft of torque. It can run to 62 mph within 4.6 second with a top speed of 165 mph. Not to forget, a version of Chevrolet SS even participates in the Nascar. The power is unleashed in some cars. The Chrysler 300 SRT – 8 is among them. It comes with a 6.4 L V8 engine which has 470 horses and 470 lb – ft of torque. 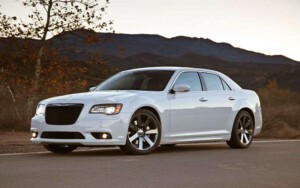 Relatively it’s unfortunate to say that we could hardly gate much of the consumer response for Chrysler 300 SRT – 8. It can reach 62 mph within 4.9 seconds within a top speed of 180 mph.